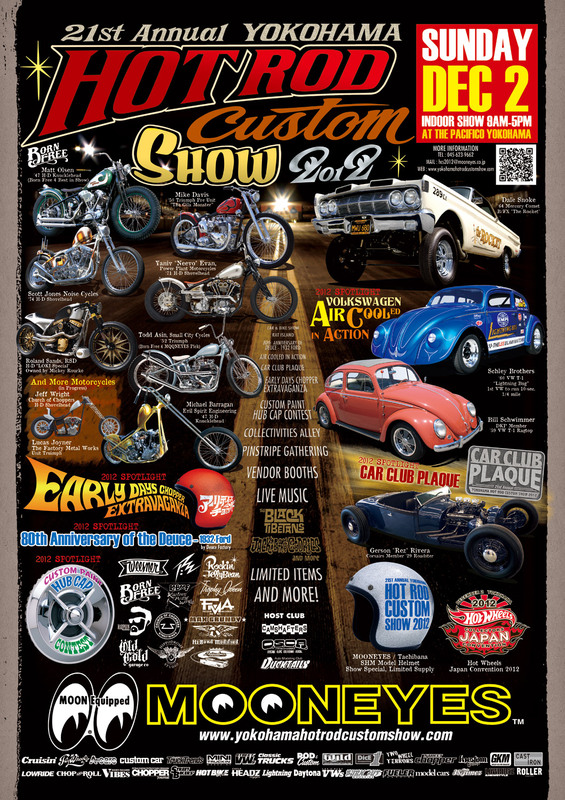 21 st Annual HRCS in Yokohama Japan Dec 2 2012. We are proud to be part of such a great event. 3 of our Born-Free 4 builders were invited & are going with their bikes. 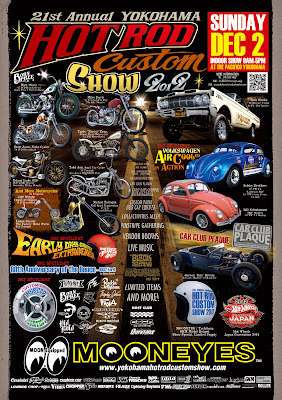 Matt Olsen (Best in Show ), Todd Asin ( Mooneyes Pick) & Michael Barragan's Knucklehead. Nice work guys...see you there!